A discussion about significant changes in the financial services regulatory landscape brought about by the Dodd-Frank Act. Banks of all sizes already are devoting significant time and resources to understanding the new rules of the road for regulatory capital. This session will provide an overview of the most important regulatory developments related to capital, as well as an update on market impact. 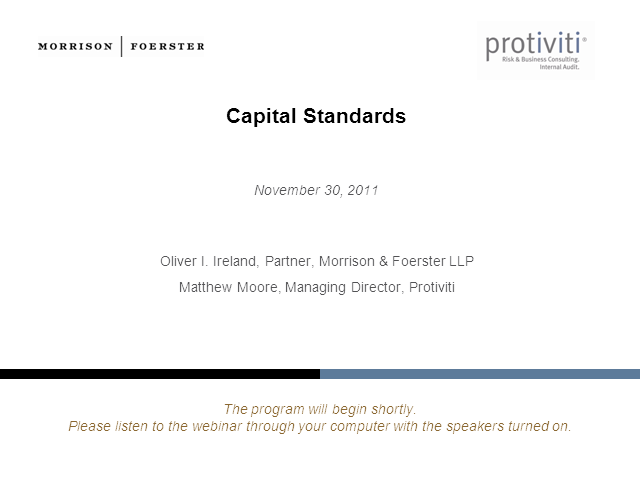 The panel also will focus on the open issues related to capital and the expected timeline for additional guidance.